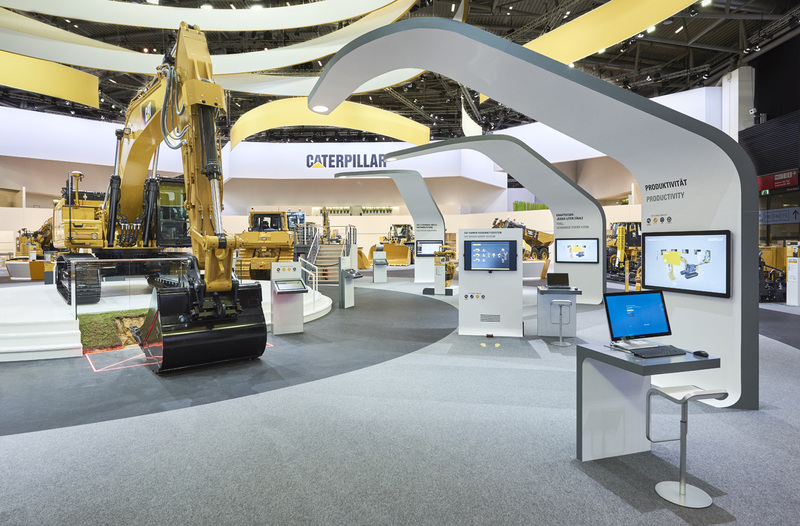 Dynamic and OrganicUnder the direction of Atelier Seitz we were responsible for Caterpillar’s 8.000 sqm trade fair stand. 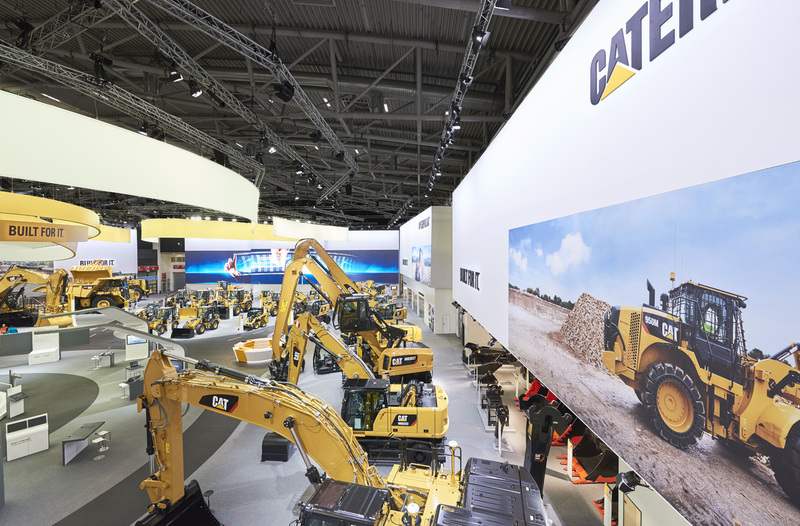 Caterpillar is the biggest manufacturer of construction machinery worldwide. Bauma is recognized as the world’s leading trade fair and periodically brings together the industry’s biggest players. 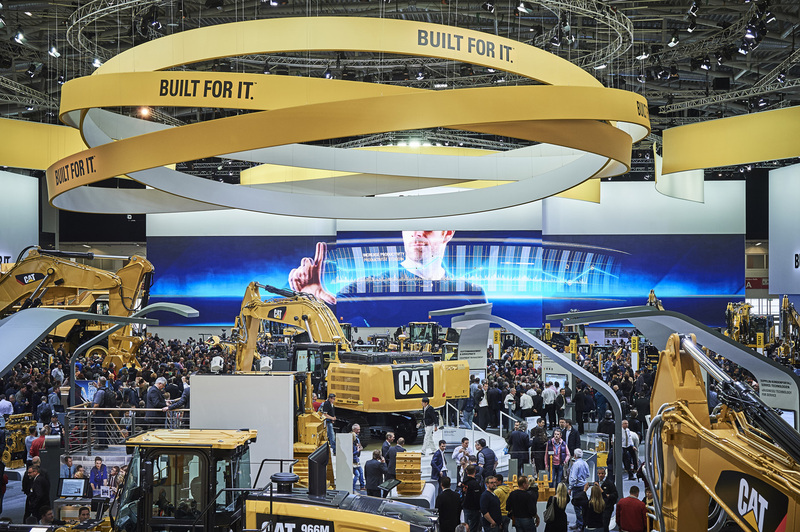 The main exhibit in the center of events offered visitors interactive insights into the world of Caterpillar’s products. Above the exhibit hovered a monumental vortex of sails, which appeared dynamic and organic at the same time. 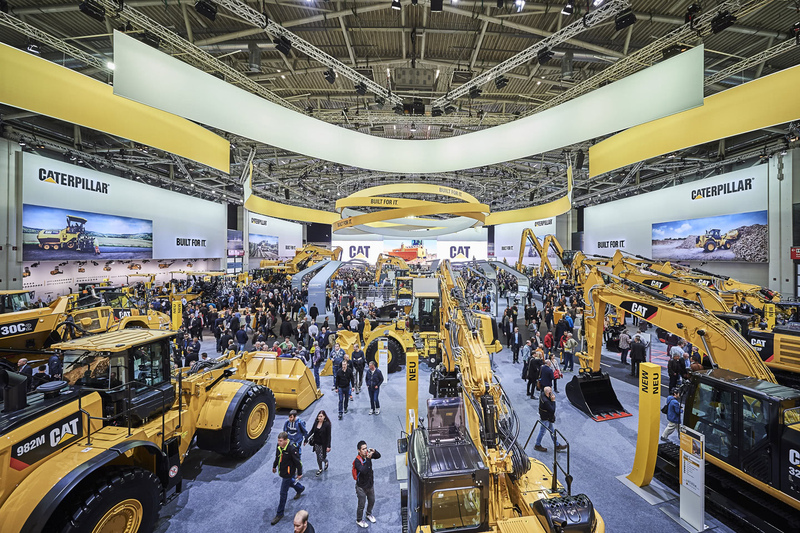 Across the entire exhibition area, 1.200 people were working in the press and finance center, the restaurant for 360 guests on the top floor or as explainers for one of a total of 60 machines. From one of the front sides protruded a 300 square meter, 45 meter long LED wall consisting of 912 LED screens, a third of them high resolution. 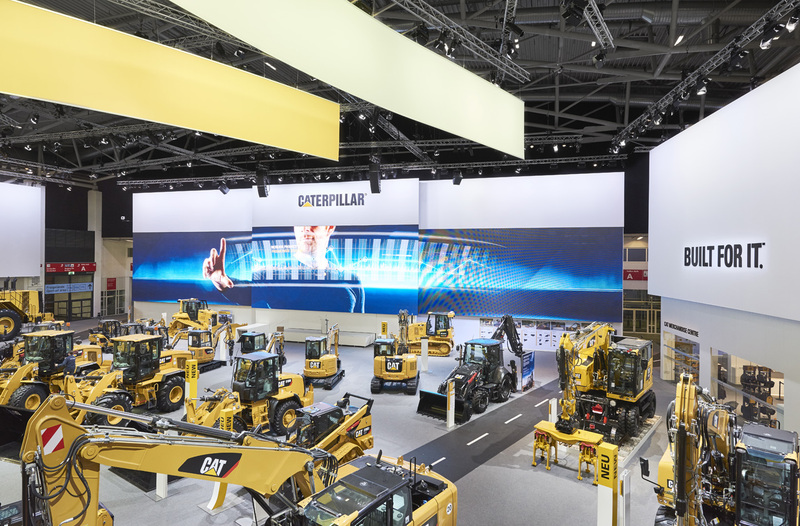 With these enormous dimensions, Caterpillar could secure maximum attention for the presented videos and products. Underneath the wall, a complete stage could be extended for the daily evening shows hosted by Barbara Schöneberger. 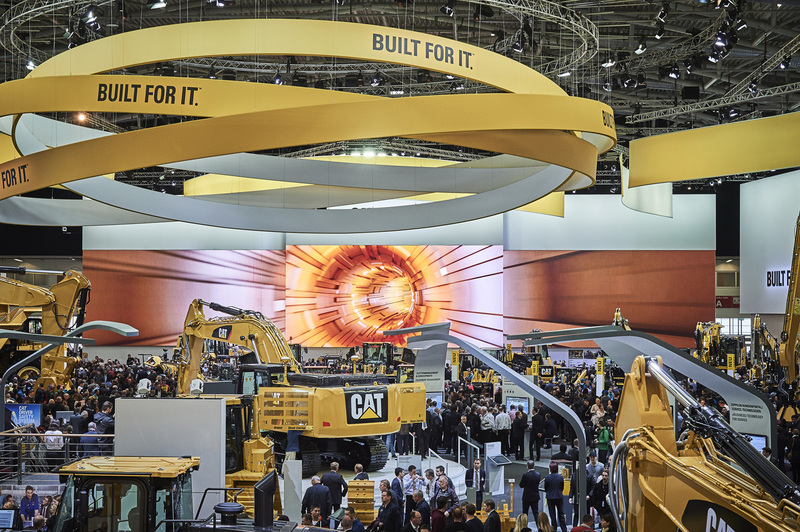 300 chain blocks and 3.000 meters of truss kept all crafts on track and guaranteed for a smooth technical result.